Brady’s Pissed, Be Ready NFL | NFL News, as it happens, when it happens. Your one stop shop. With the whole aftermath of the “Deflategate” scandal there is only one thing that is safe to say, Tom Brady is pissed and the NFL should be worried. Brady is one of the most competitive players in the NFL and in all sports as a whole and giving him more fuel to add to the fire won’t be good for the Patriots opposing teams in 2015 and maybe even beyond. The league is trying to tarnish Brady’s name and legacy, something he has worked hard for since coming into the NFL and even before during his college days at Michigan. Brady has set numerous records as well as four Super Bowl Championships and other accolades and accomplishments throughout his career. Going into last season Sam Monson of Pro Football Focus stated that Tom Brady was no longer a top five quarterback, which was widely viewed by people as a bit of an over statement. With the statement from Monson and after a rough first month of the season including a 41-14 blowout loss to the Kansas City Chiefs where the now famous words from Trent Dilfer, “The New England Patriots, lets face it there not good anymore”, you could tell Brady was determined and pissed. The next week Brady and the Patriots went on to put a beat down on the undefeated Cincinnati Bengals which set the tone for the rest of the season and made Dilfer eat his words on the way to the teams fourth Super Bowl title. No one was second-guessing Brady’s ability to continue to play at a high level and to continue to be the best quarterback in the game. This isn’t the first time Brady has been pissed off regarding people talking about him or the Patriots. How about in 2007 when Steelers safety Anthony Smith guaranteed a victory against the Patriots. Brady heard, and made Smith amongst the rest of the Steelers look foolish. 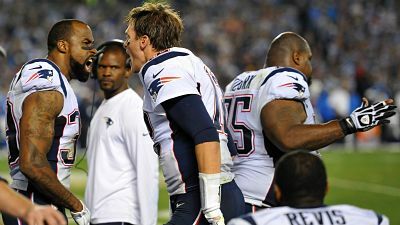 Brady scored on a rushing touchdown where he proceeded to spike the ball and chirp at Anthony Smith while doing so. Brady also was targeting Smith all game throwing at him and Smith could do nothing about it, most notably the famous Brady to Moss to Brady to Gaffney touchdown pass (one of my all-time favorite plays). Another example of if you make Brady mad you’re going to pay for it. We’ve seen Brady’s intensity and passion on the sidelines many times before and I expect him to play with that even more than usual during the 2015 season. 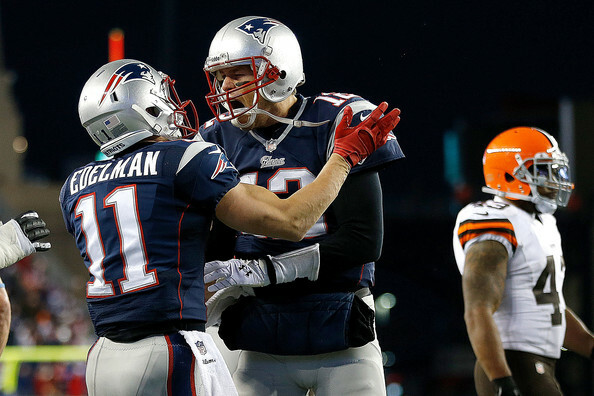 Former teammate Rodney Harrison and current teammate Julian Edelman have talked about Brady being mad about this whole situation and how the NFL is adding fuel to the fire, giving Brady more of a reason to be great and excel on the field and to show the league that he is the best quarterback to play the game and a true winner. So once Brady’s suspension is exonerated and he is allowed to play in all 16 games of the regular season and he is going to be out to make a point and to quiet the league and its fans. Brady is going to be shattering records this year, Brady could be so mad the Patriots may not run the ball this year. LaGarrette Blount is suspended the first game of the year and it may not even matter Brady could throw the ball 50 times per game just to make a statement to the sports world. 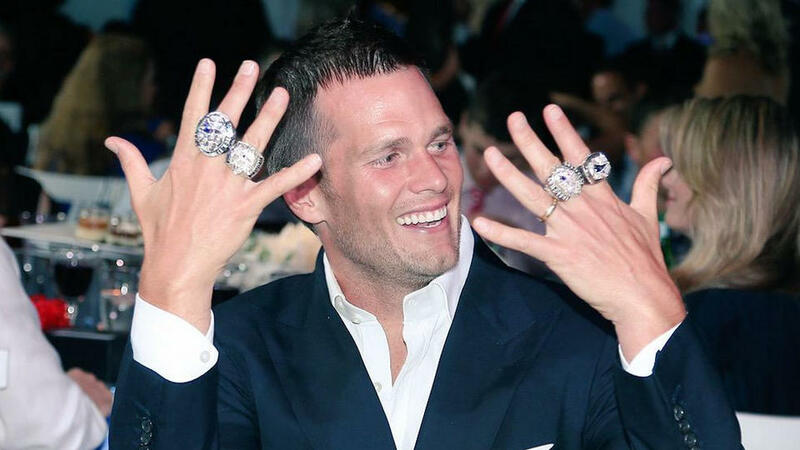 So a quick little thank you to the NFL, once this whole mess with Brady is fixed and cleared up and he is out there on opening night it wont be a pretty sight for the Steelers and every other opponent the Patriots play in 2015 and is giving Tom even more of a reason to get ring number five this season. Previous PostNew England Patriots: Eight Players Placed On Physically Unable To Perform ListNext PostNational Football League: What Is Your Team Looking For In Training Camp?